We offer a fast and safe way of buying your preventer inhaler without seeing your GP. To place your order fill in our brief questionnaire. 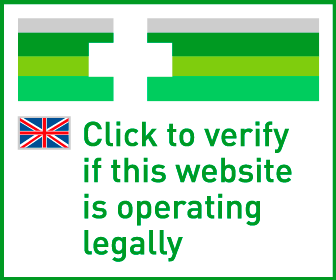 Our online doctor will review your order and confirm whether you can continue your treatment. 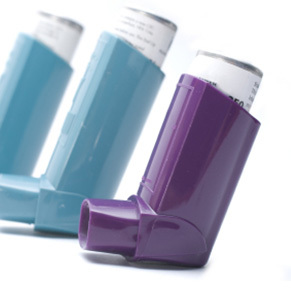 We offer all common inhalers, for example Fostair, Seretide and Pulmicort. Prescription and delivery are free. Order and pay for your inhalers. A Superdrug Online Doctor will approve appropriate treatment. Your inhalers will be posted to you via your choice of standard or next day delivery. Order & Collect (our same day in-store pick up service) is also available in selected Superdrug stores (for Ventolin reliever inhalers only). How quickly do preventer inhalers work? How long it takes for your inhaler to reduce your asthma symptoms depends on which inhaler you are using. It can take up to 5 - 14 days before you notice that you suffer less symptoms and that you don’t need to use your salbutamol inhaler as frequently. It is very important that you use your preventer inhaler on a daily basis - even if you feel better - as it won’t work otherwise. Before you stop using your preventer inhaler you need to ask your GP to assess whether it is safe for you to change your medication. Which side effects does the brown inhaler cause? Like most other medications, the brown inhalers can cause side effects in some patients. This includes allergic reactions, fungal infections of the mouth and a hoarse voice. In some cases, side effects such as nausea, tiredness and weight loss have been reported, as well as insomnia, depression and restlessness. For a full list of all known side effects, read the patient leaflet which comes with your inhaler. Does the brown inhaler interact with alcohol? There is no known interaction between alcohol and the brown inhalers. Depending on which inhaler you are using, it may contain a small amount of alcohol. As most prescription medications, preventer inhalers can cause side effects. Your GP will always prescribe the lowest dose required to control your asthma. You are more likely to experience side effects if you need to take a high dose of medicine. Most people who use a preventer inhaler find, that they do not experience any serious side effects. Steroid inhalers are usually prescribed to asthma patients who have to use their reliever inhaler more than three times a week or who experience symptoms at night. Your doctor will work with you to establish the lowest dose required to effectively prevent your asthma symptoms. In patients who suffer from severe asthma, preventer inhalers can be insufficient to get symptoms under control. When preventer inhalers fail to control asthma effectively, patients are sometimes prescribed steroid tablets instead of a preventer inhaler. Steroid tablets are usually prescribed for a short period of time to get symptoms under control before continuing treatment with an inhaler. In rare cases, asthma patients are prescribed steroid tablets at a low dose on an ongoing basis.